Abraham Solomon-Odeh—”Avram” to his Israeli-Jewish maternal family, “Ibrahim” to his Palestinian-Muslim paternal family, and “Abraham” to his Brooklyn parents—prefers to be called Abe. 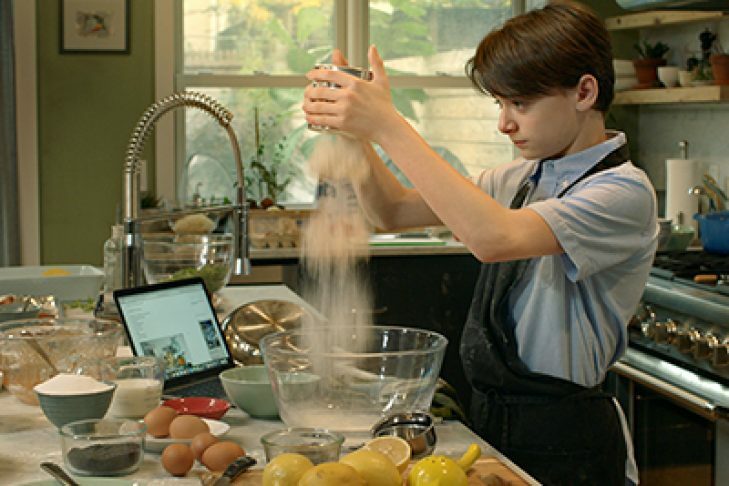 A 12-year old with a passion for cooking, Abe is tired of mediating between his politically-at-odds family. When he meets Chico, an Afro-Brazilian chef with afusion restaurant, things get cooking and Abe wonders if the flavors of his grandparents’ homeland might be the catalyst that brings his family together. Make your reservation now to see the drama Indiewire calls “Sundance’s most charming film.” Starring the delightful Noah Schnapp (“Stranger Things”) and Brazilian musician/actor Seu Jorge (“City of God”).